The latest in the series of controversies in the Buhari administration, the Kachikwu vs. Baru dispute has exploded into a very messy battle with everyone taking sides. 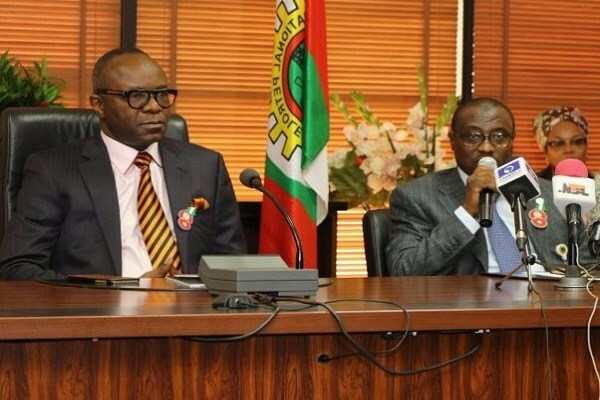 Earlier today, Nairametrics reported that the NNPC came to the defense of its Group Managing Director, Maikanti Baru by alleging that an ill Muhammadu Buhari who had handed over presidential powers to Osinbajo gave the final approval for the controversial contracts. Popular human rights lawyer and activist, Femi Falana has however released a statement in which he blows Baru’s defense apart. Here are the 3 major arguments from the standpoint of the law. 1.Section 6 (c) of the NNPC Act which vests the Board of the NNPC (of which Kachikwu is Chairman) with the exclusive power to “enter into contracts or partnerships with any company, firm or person which in the opinion of the Corporation will facilitate the discharge of the said duties under [the NNPC] Act.” (Thus, Baru’s claim that the NNPC does not need to consult the Board before awarding contracts is not legal). 3.There is no conflict whatsoever between the provisions of the NNPC Act and the PPA to justify the usurpation of the powers of the NNPC Board by the Tenders Board of the NNPC headed by the GMD (Baru). (Baru’s claim that he does not need approval from the NNPC Board headed by Kachikwu is not legal). It will be interesting to note in coming days if and how the President will react to these allegations as well as their implications on submission to the rule of law in Nigeria.